Anyone familiar with the work of writer/director Martin McDonagh – in particular, his movies In Bruges (2008) and Seven Psychopaths (2012) – will be aware of his signature style of dark humor, bleak storylines and use of profane language paired with ultra-violence. The British and Irish screenwriter and film director is also renowned as a playwright, especially for The Beauty Queen of Leenane (1996), The Cripple of Inishmaan (1997), and The Lieutenant of Inishmore (2001). His plays have been produced all over the world, including Australia. His newest Hollywood film, Three Billboards Outside Ebbing, Missouri, offers everything you might expect and more. It delves deeper into the darkest recesses of the human psyche than most storytellers dare to go, and the result is uproariously funny as well as disturbing and utterly harrowing. Frances McDormand is superb as the central protagonist within an equally all-star ensemble that includes John Hawkes and Peter Dinklage. Also, McDonagh has cast three of the fine actors he used for Seven Psychopaths – Sam Rockwell, Woody Harrelson, Abbie Cornish. Caleb Landry Jones is remarkable as a key supporting character Red, the savvy salesman who arranges the rental of the titular billboards. 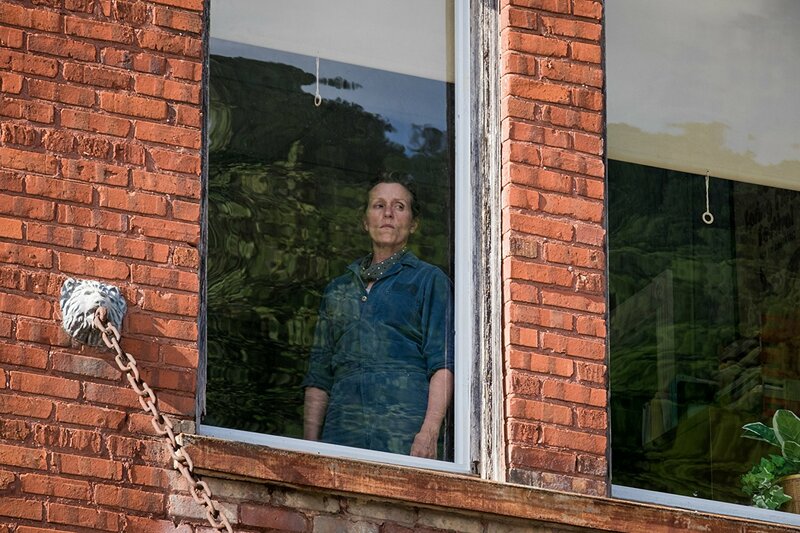 McDormand plays Mildred Hayes. We learn that several months earlier her daughter was raped and murdered in an especially gruesome way. McDonagh does not spare us any of the details. Frustrated by the lack of police action, she sets out to provoke a response from the town officials and from the townspeople themselves. She wants justice at any cost. But her incensed activism does have a cost – on everyone, including herself and her high schooler son Robbie played by Lucas Hedges (known for Moonrise Kingdom and Manchester by the Sea). Despite her escalating extreme behavior, McDonagh ensures we are in step with Mildred’s fury throughout. Exquisitely crafted, McDonagh’s story is set in a US Midwest town small enough that everyone knows each other’s business, yet large enough that not everyone knows each other by sight – a device that allows for McDonagh to maximize his drama at every opportunity. The film is populated by authentic and well-rounded characters, from the sympathetic police chief Willoughby (Woody Harrelson) – the main subject of her ire – to his dunderheaded colleague, the clearly incompetent and openly racist police officer Jason Dixon, played perfectly with on-point character detail by Sam Rockwell. Around the one-hour mark – the midpoint – the movie plummets off a cliff into far darker territory than anticipated. Everything that follows is far from predictable, and therefore has you squirming uncomfortably in your seat with each new outrage. To read the rest of this review, please go to Filmink.com.au.